The Christmas festivity began with Churches decorated with nativity scenes, brightly lit X-mas trees, colourful lights and singing of carols to commemorate the birth of Jesus Christ. 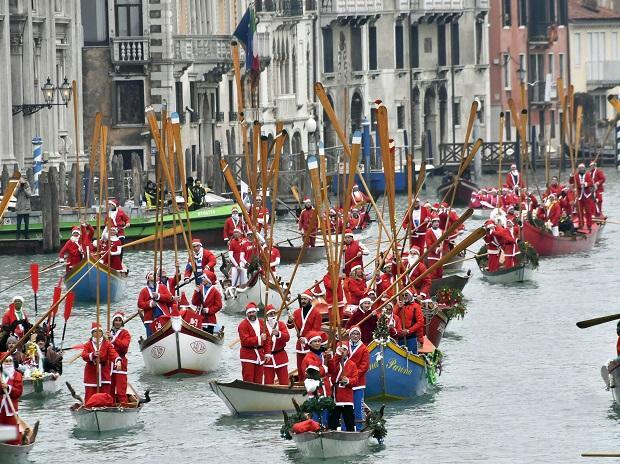 People wearing Santa Claus costumes sail along Venice's Grand Canal aboard traditional Venetians boats, Italy. 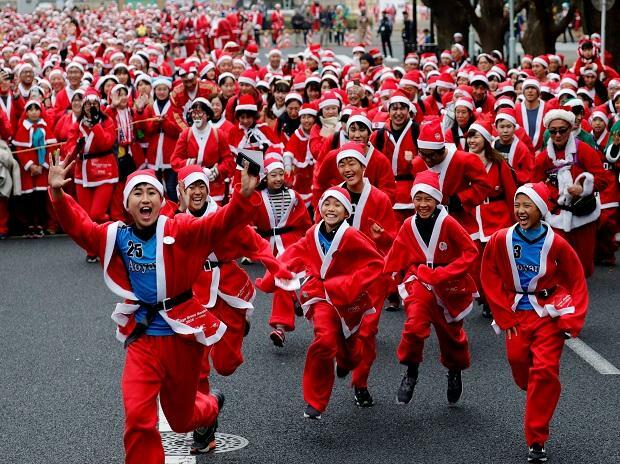 Participants dressed as Santa Claus take part in a charity event "Tokyo Great Santa Run 2018" in Tokyo. 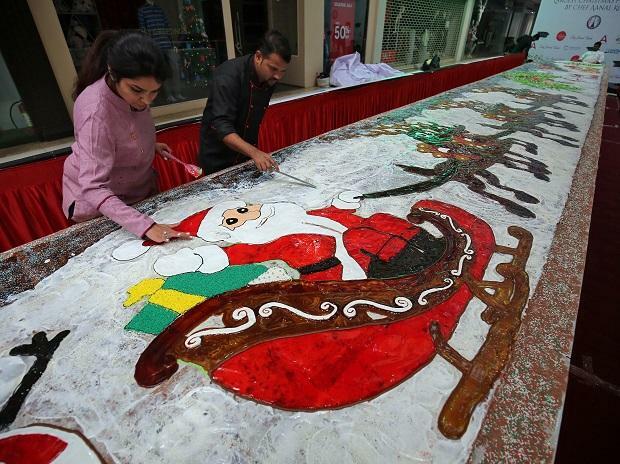 Chefs apply finishing touches to a 56-feet-long Christmas plum cake inside a shopping mall in Ahmedabad, India. 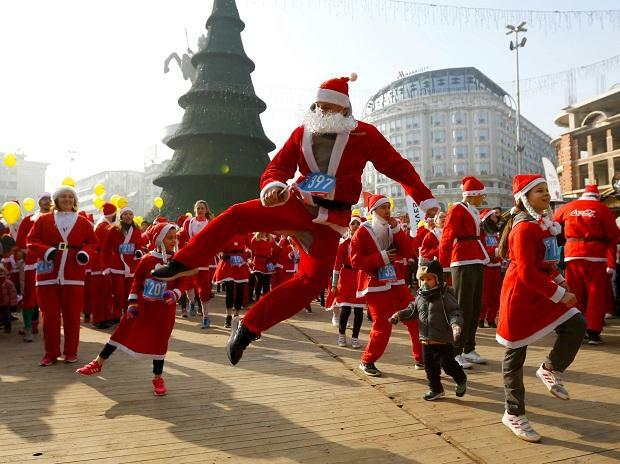 People dance before the annual Santa Claus city race in Skopje, Macedonia. 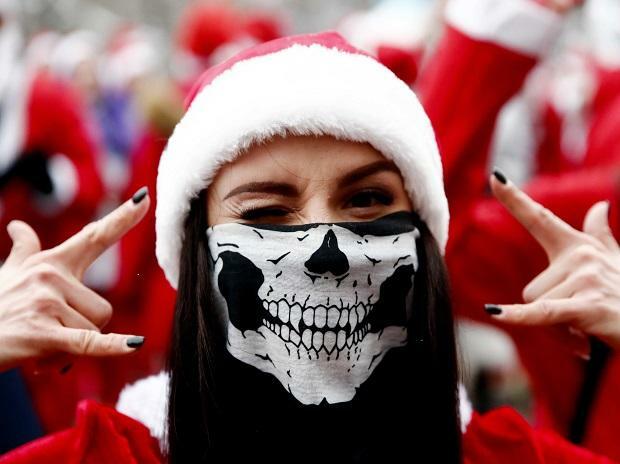 A woman dressed as Santa Claus reacts before the charity run in Moscow, Russia. 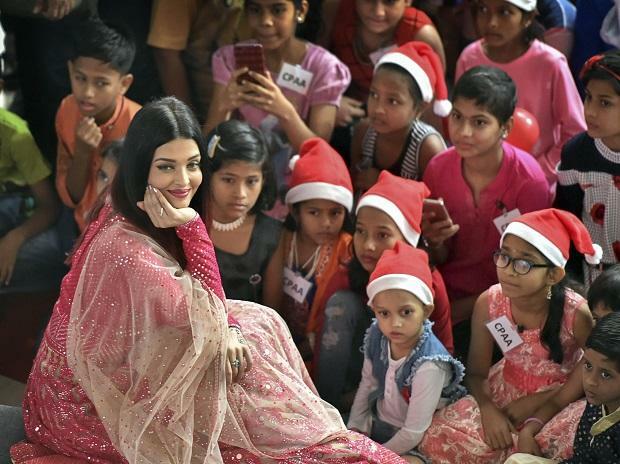 Bollywood actor Aishwarya Rai Bachchan with young cancer patients during a pre-Christmas celebration, organised by Cancer Patient's Aid Association, in Mumbai. 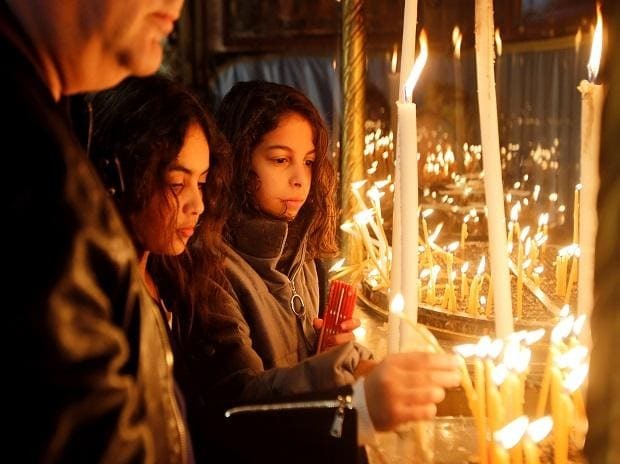 Girls light candles at the Church of the Nativity, in Bethlehem in the Israeli-occupied West Bank. 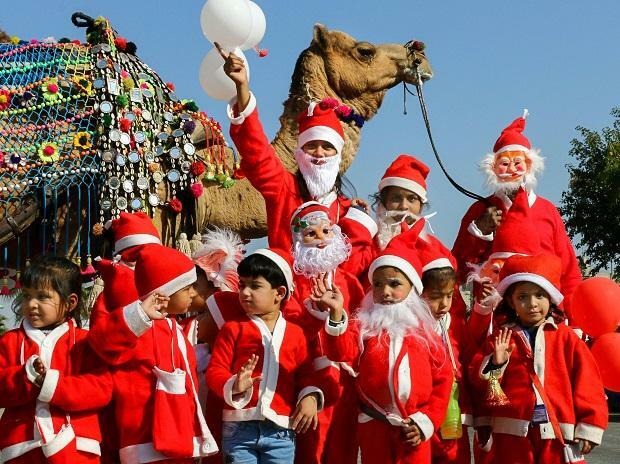 Children dressed as Santa Claus take part in Christmas celebration at a school in Ajmer. 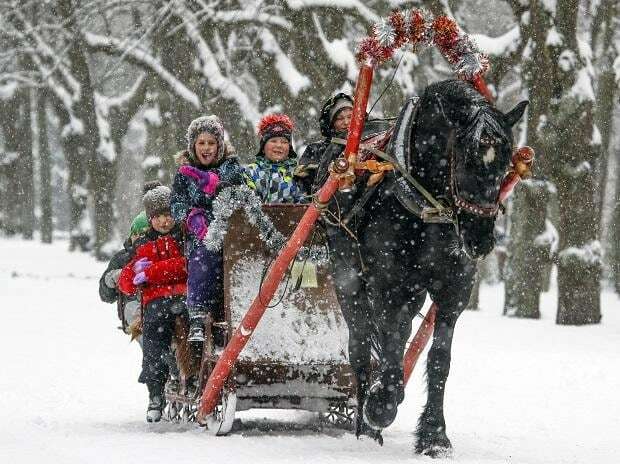 Children ride a horse sleigh in snowfall in a park in Pavlovsk, outside St.Petersburg, Russia. 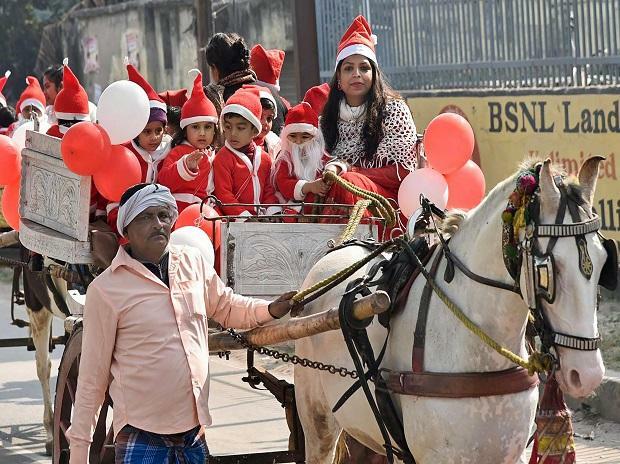 Children dressed as Santa Claus ride on a Tonga during Christmas celebration, in Patna.